The Easter Bunny was generous in our house this year. 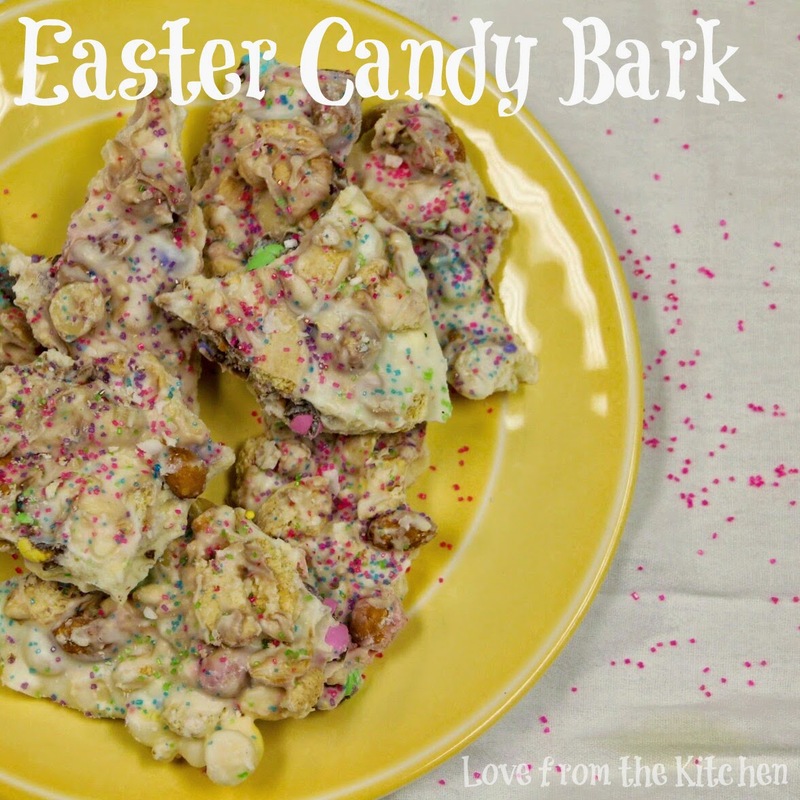 In an effort to prevent myself from eating all of it (sigh) I decided to make this bark and share it. The making it part was easy. Sharing it? Not so much. This is fantastic and addictive stuff. Sweet and salty with wonderful textures. 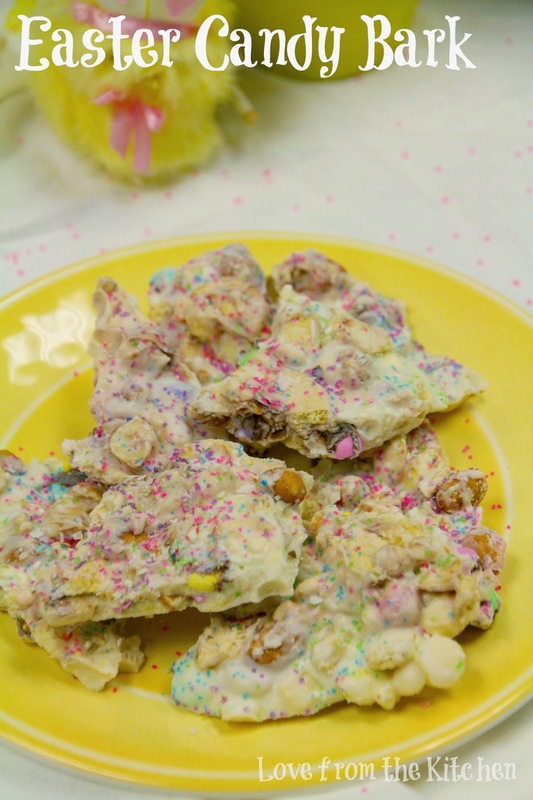 I made mine with Easter trail mix and honey roasted peanuts as well as crumbled vanilla sandwich cookies and Easter candy. I think you could use more or less anything in place of the trail mix and peanuts. Raisins or other dried fruit is also wonderful here. And of course, Easter candy. This was a huge hit at the office. At least the part that they got to eat. I'll have to make twice as much next year. Line a cookie sheet with parchment paper. Evenly distribute the trail mix and crumbled vanilla cookies. Melt candy coating per package directions and pour over prepared layer. Using a spatula, spread the coating coating to cover completely in a thin layer. 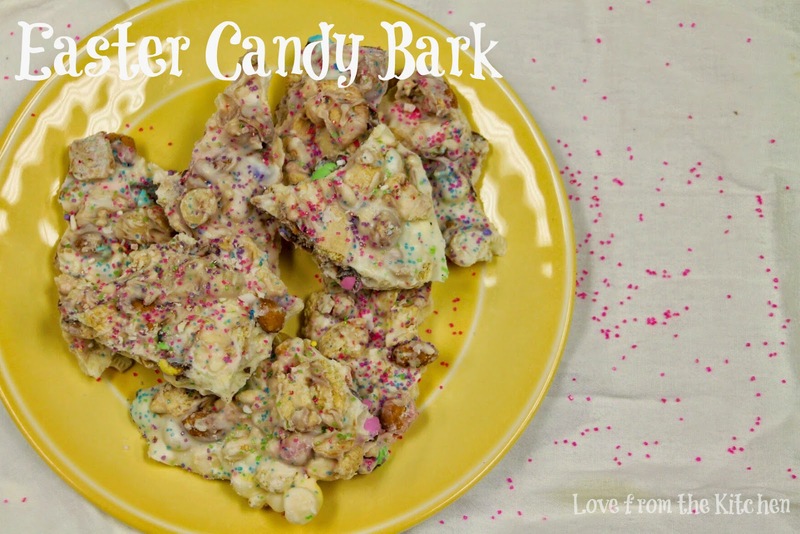 Immediately scatter candy over bark and lightly press into warm coating to adhere. Sprinke with decorative sprinkles as desired. Allow to set before breaking into pieces. Store in airtight container. Note: White chocolate and vanilla candy coating can seem interchangeable. 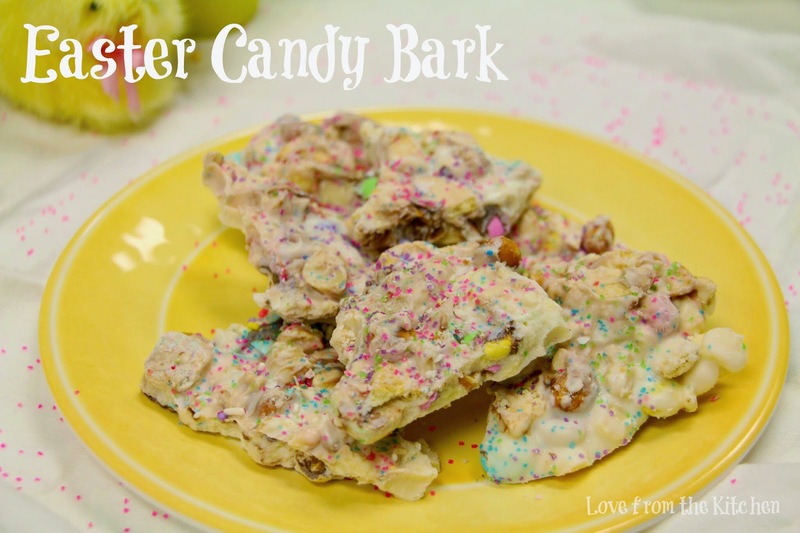 Though candy coating works best for this recipe (as it is easier to work with when melted), I used white chocolate chips. In that case, carefully melt the chocolate according to the package instructions and then mix all of the ingredients (except decorative sprinkles) into the white chocolate before preading on the parchment covered sheet.